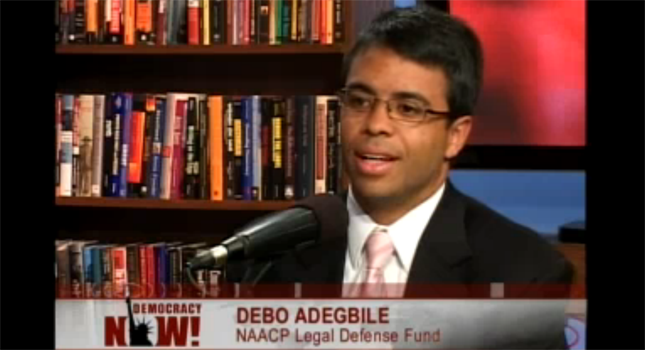 The confirmation hearing for Debo Adegbile to head the Justice Department’s Civil Rights Division has many of the standard elements and witnesses on Adegbile’s career as a lawyer and an advocate. One witness however is not like the other: Maureen Faulkner, the widow of a Philadelphia police officer gunned down in 1981. Now, Adegbile is not accused of gunning down Philadelphia police officer Daniel Faulkner or even being an accomplice before or after the act. No, the witness is being called to suggest that Abegbile should not be confirmed because he represented the man convicted of the murder. Faulkner is being joined by Sen. Chuck Grassley, R-Iowa, and the Fraternal Order of Police in saying that such representation is relevant in determining if he should be confirmed. It is move that strikes at the heart of the notion of the right to counsel and due process. Many law students become prosecutors because they fear that representing criminal defendants or controversial clients will bar or hinder their professional advancement while the presidents and members of Congress continue to favor prosecutors for judicial appointments (making the federal bench a sometime hostile place for criminal defense counsel). Adegbile has been denounced as “radical,” “dangerous” and “outside the mainstream.” However, the main proof of these allegations is the simple fact that he agreed to serve as counsel for Mumia Abu-Jamal. Abu-Jamal was a member of the Black Panther Party. He later became a radio journalist and president of the Philadelphia Association of Black Journalists. 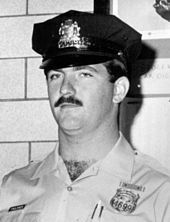 On December 9, 1981, Officer Faulkner was shot dead while conducting a traffic stop on a car driven by Abu-Jamal’s brother, William Cook. Faulkner shot Abu-Jamal in the encounter. The case became a national focus not only because of the death of a police officer but the later errors claimed in association with Abu-Jamal, who initially represented himself with disastrous results. I can understand Maureen Faulkner’s anger at the loss of her husband. That anger is likely magnified by the international movement behind Abu-Jamal. She is quoted as saying that there is digest when she and others are forced to “witness Adgebile, a man proud to have chosen to aid the murderer of their friend, singled out for honors and high office by the government of the United States. It is an abomination to now reward Mr. Adgebile as if he had done something wonderful.” The problem is that critics seem to view the representation of a killer as a celebration or endorsement of the crime. If Adegbile has extreme views, we should hear them. That is a relevant concern and has been raised with regard to positions taken as legal counsel to NAACP’s Legal Defense Fund. However, the attention on his confirmation seems largely to focus on the fact that he dared to represent a hated individual. Criminal defense, particularly for indigent clients, is often a thankless job despite the legacy of such work found in the likes of John Adams. However, this hearing creates a clear chilling message for young lawyers and law students that they should turn down such cases if they do not want to bar any hope for professional advancement. I am equally disturbed by the comment of Chuck Canterbury, president of the Fraternal Order of Police that “This nomination can be interpreted in only one way: it is a thumb in the eye of our nation’s law enforcement officers.” The impression was that the insult was nominating a lawyer who represented an accused cop killer. It that is the intention, it is a careless and thoughtless position. I have represented law enforcement personnel and I have sued police officers. I even represented officers of the Fraternal Order of Police. I will remind Canterbury that many denounce lawyers who represent officer accused of abuse or wrongful shootings. I have the luxury of a job with lifetime tenure at a wonderful law school. I consider that position to come with the added responsibility to represent people who might not be able to secure counsel because of unpopularity or alleged crime. Other lawyers do not have such protection or support. The message being sent from this hearing is this lawyer should be judged by what his client did — a notion that is anathema to anyone who values the rule of law. I know little about Adebdile and I have no objection of witnesses discussing his prior conduct or legal views. However, that is not the focus of the coverage thus far in this controversy. The message seems to be that no one will stop a lawyer from representing an unpopular client but you do so at your own risk. There are relevant issues and irrelevant issue. The fact that he was a child actor on Sesame Street, for example, does not mean that he was responsible for the content of the show. Being counsel to a criminal defendant and even believing in his innocence does not make him sympathetic to cop killers or facilitating murder. I am very discomforted by the thrust of coverage on the nomination and the use of the murder case to undermine such a nominee. I didn’t call you any names; all I did was tell you about yourself. I just believe in calling a spade a spade, no pun intended. But I suppose I was all, like, so mean, asking pertinent questions and everything. You began this dialogue woefully unprepared. See what I’m up against, Sling? Ask Carol a question and it becomes apparent that she doesn’t know much beyond a few select talking points. Carol, I bet you were under the impression that Adegbile had more to to do with Fischer. As we can see from your statement quoted above, you weren’t sure if this case you’ve was about affirmative action. Holy smokes, I know Fischer was all about affirmative action, and I’m not even a lawyer. Who’s spoon feeding you: Ed Blum? And you want to talk about mixed rhetoric. You support affirmative action, but you have a problem with it, at least in Ms. Fischer’s case. You support those who challenge (what? ), not anyone who’s committed to a cause. Truth is, and it shows in your statements, you think blacks have gotten enough breaks and it’s time to preserve what’s left of the white hegemony. What is wrong with a black man deciding to do something constructive in his life about the injustice he perceives in society. My guess is that Mr. Adegbile takes on racially charged cases for much the same reason that firefighters rush to a fire; because that’s where the action is. I was well aware that the Fisher was about Affirmative Action, you were the one who repeatedly asked questions concerning the case. Please, do not draw conclusions about my thoughts and beliefs concerning race. You do not know me, you don’t know if I am Black, Hispanic, Asian or Middle Eastern. The legal question in Fisher deals with the good faith of considering race in the admissions process. I am grateful to live in a country where ALL can challenge a system they believe to be unfair. There is nothing wrong with a black man deciding to constructively address injustices he perceives. And there is nothing wrong with a white woman doing the same. Once again, and now I will bid you both farewell. I perceive Mr. Adegbile as someone who has shown a bias that would not allow him to sit neutrally in the Civil Rights Division. This is my opinion; you have your opinion. RTC, where you lost my attention and respect is when you began name calling…..lack of maturity. In that, you could appear to be suggesting that Adegbile ‘pushed a white agenda and practiced a career of anti white legal issues’. Your presentation of the Fisher case appeared to suggest that Adegbile – in his own right – exercised some authority to block Fisher’s appeal *because she was white*. Neither of these actually apply do they? I am still at a loss to understand why you go on about the Fisher case as some sort of metric for Adegbile. I am still at a loss to see any evidence of what part precisely he played in the Fisher case. Your postings give the impression trhat he was some sort of principle mover in discriminating against a white woman. It comes up only because of a reference to Adegbile – but he appears to be very peripheral to the case. There is an interesting graphic at the head of the article. It takes us from an executive order by President Kennedy (white guy) on affirmative action (white guy) in 1961 – through the Grutter v. Bollinger case in 2003 – and into the Fisher case 10 years later. Affirmative Action was not anti-white. I don’t think it could even be described as a black agenda – as in promoting some sort of black supremacy. It seems to have been aimed at countering systematic / built-in prejudice. Modern America is now, of course, totally like Sesame Street. Even purple dinosaurs now have complete parity of esteem. It wasn’t always like that. But where does Adegbile come into it? – as someone who did something out of the ordinary in this well-established affirmative action policy? Fisher did not qualify under the established rules dating back to the Johnson Administration. That was how the system worked. This did not appear to be a person or a group exercising some form of personal prejudice. 10 years beforehand, the Grutter v. Bollinger matter ended in a ruling that a university could use race in admissions decisions. How excactly did Adegbile stand out as any different to anyone else involved in that or any other university at the time? His professional choices to take on racially charged issues is what I am concerned about. Should an attorney who pushed a white agenda and practiced a career of anti black legal issues, I’d be just as concerned. My final point is, I really question his ability to be fair and equitable as the head of the Civil Rights Division. And as I have repeatedly stated, I admire hugs intelligence and work, there must be other choices who can sit from a neutral and impartial place. I should add that material on FIsher v. University of Texas is readily available. THe matter arose out of decades-long measures for affirmative action on admissions to public universities. I must assume from your postings that you have discovered evidence that this particular case was not simply the application of established policy by the university under Texas law, but was in fact some sort of solo run by Adegbile. OK. What did your research uncover? 1. It seems the person was refused admittance to a Law School. What were the stated reasons for which admitance was refused? 2. It seems the person appealed that decision. What was the basis of the appeal? 3. It seems that one or more people moved to block that appeal. How many did that, and what were the arguments they put forward in support of that? Please supply source references for the above. 1. Plaintiff was refused admittance to University of Texas at Austin, claiming discrimination due to being white. At question was whether or not the university applied ” in good faith” it’s goal to increase diversity among students in the admission process. 2. Discrimination under the Equal Protection Act of the Fourteenth Amendment. 3. The University and it’s counsel moved to block the appeal. baffle the issue with baseless rhetoric? You claim that Adegbile opposed a students entrance to law school without a shred of evidence, or single detail. You’re not even sure why Adegbile opposed her application, except that the woman was white. As far as anyone can tell, you don’t even know what law school your talking about. I’ve asked a number of specific questions that might give context to your allegations; you’ve answered not a one. 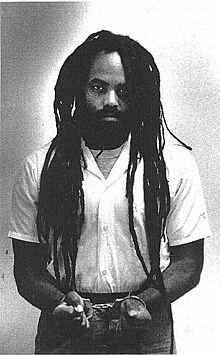 If you had any credible information to offer, I’d sincerely consider it; my gut reaction to Mumia and the movement that came about on his behalf is distinctly negative. But as an independent, critical thinker, I must insist upon some credible, rational evidence based information, not your fussy little race baiting talking points. Your insistence on “balance” and complaints about “ONE” sided racial bias betray you as the one who is disgruntled, along with the rest of right wingos. Truth to be told, yeh, it pisses me off when someone starts shooting their mouth off about a bunch of baseless allegations. It’s irresponsible. You’re too shameless to get it. You project well. Baffling rhetoric is clearly your expertise, that and name calling. Fisher v. Texas, read the case. If you can’t research these issues on your own, then take your own advice and stop shooting off at the mouth. BTW-University of Texas Law School. Were you spoon fed information in school? Carol, confident speakers don’t guess at their supporting reasons. I’m not the one making allegations, so I don’t feel the onus to supply facts is on me. Ironically, you’ve supplied very little in the way of factual statement, yet your allegations smack of judgmentalitism. Actually, they just sound racist. You gloss over every facet of Adegbile’s position regarding your white applicant. BTW, your assertion has changed from Adegbile fought and opposed the appeal, to Adegbile “blocked” the appeal. Which is it. If an appeal is blocked, then fighting it is unnecessary. Carol, who originally denied this white student acceptance into law school? Were any of the original decision makers white? Again, you don’t know, and likely don’t care. I’m not sure what being a neighbor of Thurgood Marshall has to do with anything. If I had a neighbor who committed a crime, would there be any reason to think I would condone wrongdoing. Talk about a weak argument. What that tells me is that you’re probably some Virginia dilettante working as a staffer for a congressional Republican. You’ve embarrasssed yourself. That’s my judgement and you’ve supplied the facts, for once. Bone up and get some game before you come back. As expected, personal attack on me. I am not a Republican nor staffer for any Senator or Congressman. I grew up in Northern Virginia and lived my formative years amongst many legislators, on both sides of the isle. I prefer to view both sides of an issue to determine a fair and equal outcome. You have demonstrated you are an angry and disgruntled person who chooses to baffle the issue with baseless rhetoric. Study the scales of justice, then you’ll learn about the balance our society will best benefit from. Sorry Carol, but you haven’t explained what you mean by “balance” well, if at all. Looking upthread, you reveal your obsession with Adegbile’s propensity for representing black defendants in your first post, characterizing his career as focused on “primarily racial” legal issues, taking only “ONE side(d)” positions throughout. My God, what do you make of Thurgood Marshall’s career? What constitutes balance? Representing white defendants. Wealthy blacks? You’ve failed to explain, and will probably continue to do so. And everyone reading this blog can see that. Furthermore, you lack a significant amount of information to be making the case you’re attempting to make. You “guess…the denial of a white female was affirmative action”. You GUESS?! You DON”T KNOW!! And you don’t know the answers to any of the other questions I asked earlier, including whether this guy has represented any white clients. These are basic questions that all but the laziest critical thinker should ask. Jonolon’s position I can understand- he takes issue with Adegbile’s representation of Mumia, a stupid position for a lawyer to take, but it’s intelligible, nevertheless. The only way to understand your position is to view it as that of a troll. Your language about everyone being treated equally is the dead giveaway; it’s “the code” that your handlers or employers use to call for the end of affirmative action programs. Obviously, whoever sent you trolling failed to equip you with the necessaries. And overpaid, given your showing here (or are you a staffer for a congressman). Trust me, I’m far from the sharpest thinker that follows this blog, and I’ve shredded your position. Don’t embarrass yourself any further. Go back to the office Monday and carry on with the incompetence. And enjoy the Olympics, sweetie. FYI, Justice Marshall was a neighbor of mine! His sons and wife are still a part if my former community. The boys have moved on, yet they visit their Mother regularly. I have researched the issue concerning the Law School admittance of a female, white student. It is a fact that Mr. Adegbile intentionally blocked her appeal. You’ve shredded nothing, except your ignorance. I love the Olympics, and plan to enjoy, Thank you. Handlers, what are you referring to? Starting to sound paranoid or delusional. I am a confident thinker! I know my facts, you’ve stated no facts only judgements! Look, Carol, you should confirm if that was indeed the reason this woman was denied entrance into a law school. I highly doubt anyone connected with a law school would stand up and say, “Sorry, whites need not apply”. But maybe there’s a school devoted only to blacks. If there is, I’m not aware of it. Could this have been connected to an affirmative action program? At any rate, from what you’re saying, Adegbile didn’t make the initial determination. Were there any white members of the determining body? Was this woman’s application the only one Adegbile opposed? Did he ever oppose any minority applicants? Furthermore, has the guy never represented a white client? Lastly, what does “balance” mean for a civil rights attorney? Does an attorney have to represent whites as well as blacks, when there are quite enough black clients in need of representation, particularly in the Philadelphia area. I see no problem with an Africa-American lawyer determined to fight for the civil rights of other African-American, if he thinks there’s no one else to take the challenge. Did you have any problems with Bush appointees who lacked not only “balance”(having never represented a black person), but experience? No, I am not racist. As a matter of fact I am a HUGE civil rights advocate, was raised in a household by parents who taught me to treat all equally. My guess is the denial of the white female was due to affirmative action, which I support. I also support people who choose to challenge and perhaps show a not so obvious bias. As far as any other cases involving Mr. Adegbile, I am unaware of any. I have explained balance over and over, not sure what part you don’t understand. Further, my focus of this issue surrounds the fact that his professional history shows a clear bias. Perhaps the Presidents advisors should vet other better suited attorneys.